The Cross House has like a zillion windows. OK, maybe not that many. Maybe there are actually only a billion. OK. Maybe not that many. But surely there are thousands. At least it feels like thousands. Luckily, the windows are all original. Praise the Lord that nobody in the 1970s decided to tear out the windows and replace them with vinyl —and you know how those would look today. I will later do a post on the evils of replacement windows, suffice to say for now that it is almost ALWAYS better to retain your ancient windows and restore them rather than opt for replacements. For example, vinyl windows have an effective life-span of like a dozen years. They do not tell you that when you hand over a check. ABOVE: One of the curved-glass windows of the round tower. I know! TERRIFYING! Absolutely, shockingly, and without-a-doubt TERRIFYING. No sane person would do anything other than toss such a window (and ALL my windows look like this) into the dumpster and run to the nearest home improvement store to place an order, STAT, for nice, new, shiny windows. NOTE: I am not sane. RUN! RUN for your life! There is no way — no way, man! — that this piece of rotted crap can ever be made to look even half-way decent! RUN! Then there is this very small voice in my head. It whispers: Hey, what if you just scraped a little on one corner? What does the wood look like under? So, letting that quiet voice guide me — after all, what is the harm? I am just going to scrape a little bit. Just a little bit — I scrape just a little bit. Oh. Cool. The wood is not scary under. Actually, it looks…great. So then I wonder: what if I scraped just a bit more? Just a bit. At this point I am doomed. ABOVE: Every time I look at a restored window my heart skips a few beats. It seems a miracle that something so awful could be made to look so good. Truly, a miracle. And a thrill! A delight! A joy! Wow. 13 Responses to Abracadabra! Windows…resurrected! Gasp -Astounding. How long did it take ? Original wood, stripped, sanded and then re-painted ? Gasp is right, Betsy! Gasp!!!!! Yep, the AFTER image is the same window, and retaining all its original bits. It was all there under the decaying layers of paint, ancient caulk and glazing, and glue. People usually mistake these decaying layers for decaying wood. But give me OLD wood (old-growth wood) any day over new wood. The old stuff will last another century. The new stuff? Maybe twenty years? 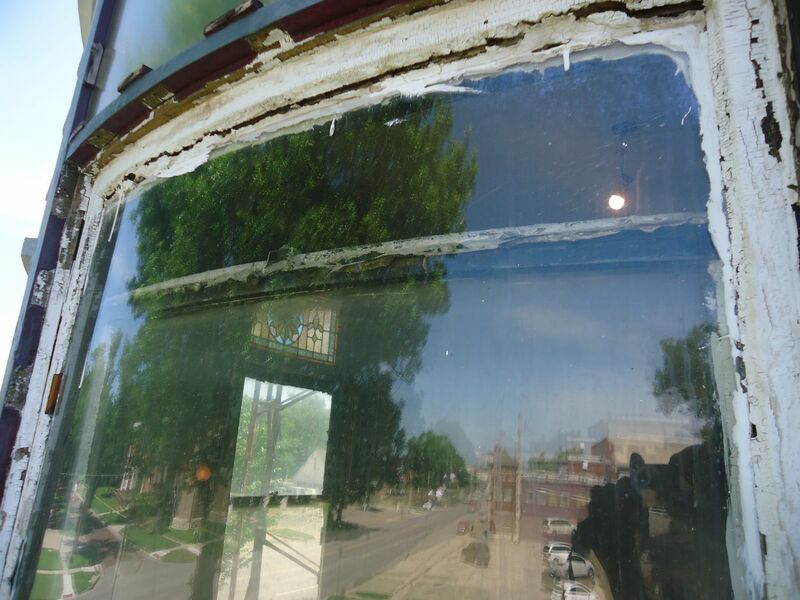 Oh, and the restoration costs approximate the replacement cost for a new, higher-quality window (except the new window will not last as long as the restored original window). If you can do such work yourself, the cost is cheap. Such work is not hard but does take some time, and requires a personality who enjoys such, well, fussy work. Way to make me jealous… but in the 70’s they’d be aluminum, not vinyl. I’ll have a photo up soon. The last of those in my house is sitting out back until I break the glass and turn the frames into scrap. Welcome Chad! I have really been enjoying your own old house adventures. Do you know what the original color was? Great job on the windows! 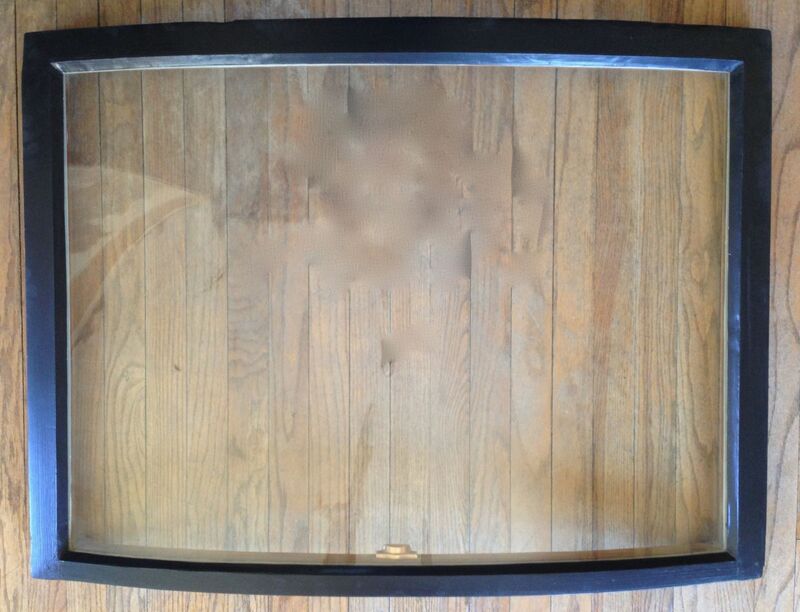 We were fortunate to have every one of our original wood sashes remaining too. I’ve restored them all, and even my wife likes operating them better than typical modern windows. 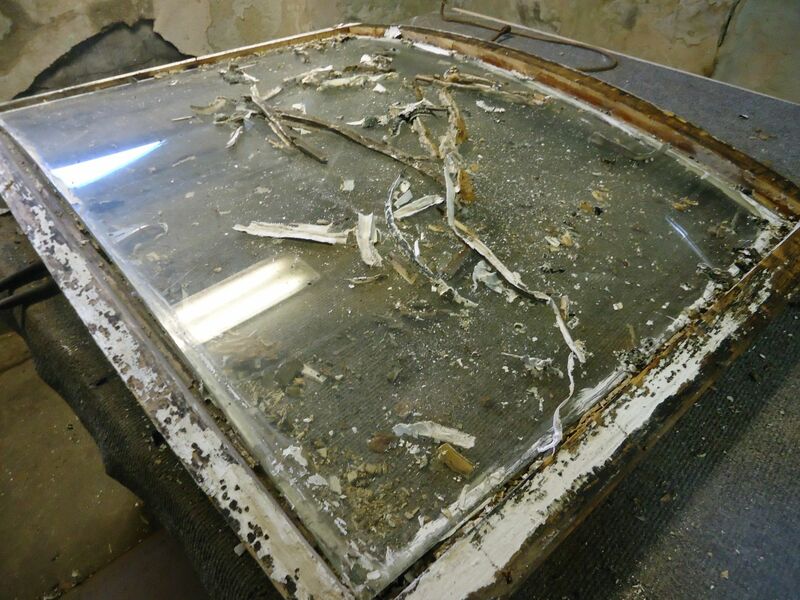 It’s a shame so many people fall for the vinyl window salesmens’ pitch, especially since the return on investment is so poor, even compared to leaky old windows that need repair. Amazing transformation! The window looks as good as new. Great job! Where in world would you get a curved window to replace it if you hadn’t fixed the old one? Scrape with what!?!? I am in a never ending battle with the old paint and glazing on my windows! Do you strip them first? Had to respond! My 1907 Queen Anne in Oklahoma has a two story tower of curved windows. Because the sashes are curved and the tight radius of the curve you can not take a window out to repair it unless you do it from the outside of the house and take almost all the trim off! The owners before us broke a window and then broke the sash trying to get it back in. It was the bottom sash. They replaced the curved glass with plexi and I can’t tell the difference. No budget for curved glass! My aunt does the payroll for a shop in Dallas, TX that specializes in curved glass. They have to make a mold for you but it’s yours forever. Lol. Unfortunately each of our windows is a tiny bit different than the others so it couldn’t be reused much. She says the mold is the expensive part! That is truly astounding. All that hard work is worth it. I now totally regret binning (trashing in American!) my original sash windows for the allure of Upvc ! Currently investigating the cost of wooden replacement sashes after being inspired by this posting.